Because you can’t watch over your baby around the clock, sleep with greater peace of mind while Babysense7 monitors the breathing movement rate of your sleeping baby. Should these breathing movements fall below a certain rate or not be detected, Babysense7 will alert you audibly and visually. 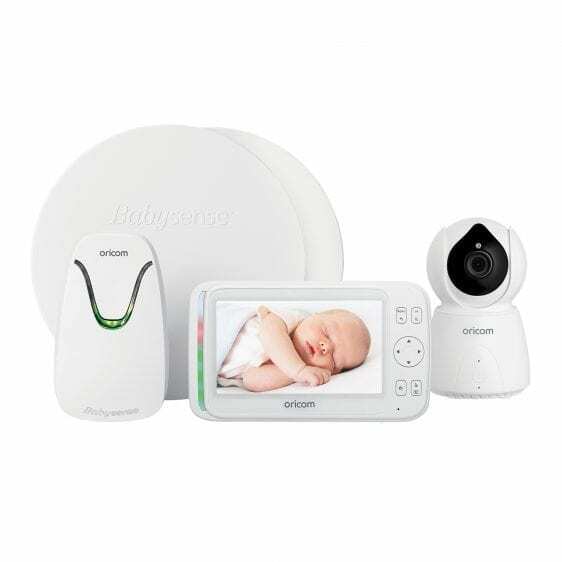 The Babysene7 Value Pack combines the peace of mind of the Babysense7 Infant Breathing Movement Monitor with the quality video monitoring of the Secure895. 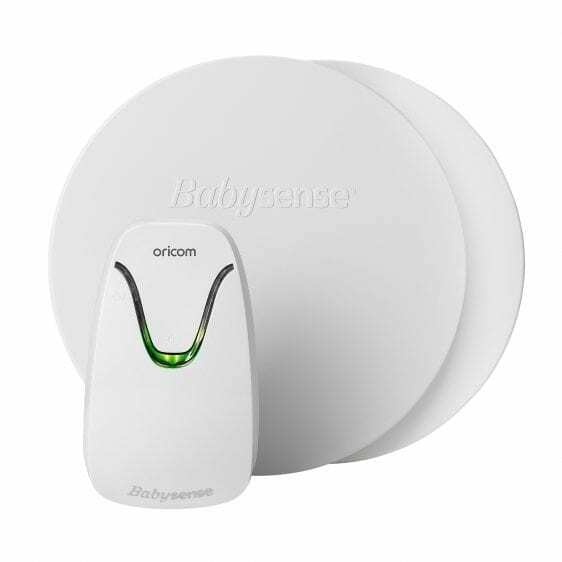 Babysense7 is intended for use as an Infant Apnoea Alarm. Redesigned compact styling with the same proven technology and performance as the original Babysense2. Q. Is it a medical device? A. Babysense7 is included as a medical device on the Australian Register of Therapeutic goods (ARTG No. 97479). Q. Is it simple to set up and easy to use? A. Yes, extremely simple to set up and operate, however we strongly recommend the user guide instructions be followed and functionality regularly tested. A. Yes, it uses 4xAA Alkaline batteries (not supplied) so you can move it easily. Q. I’ve read that the babysense7 monitor runs on batteries. How long (on average) will the batteries normally last before needing to change them? A. The babysense7 is Powered by 4 x AA, 1.5-volt Alkaline batteries (not supplied). Power consumption is approximately 1mA. Battery life is approximately 6 months using high quality alkaline batteries. Q. Can it be used in cribs, bassinets, travel cot? A. Yes, as long as the base is rigid and a suitable mattress is used and you must ensure that excess cords are secured under the mattress out of reach of baby or other infants. Modifications may be required to the bassinet for sensor pad wiring access and controller unit placement. For further advice please consult an Oricom Representative. Q. How many sensor pads does it have? A. 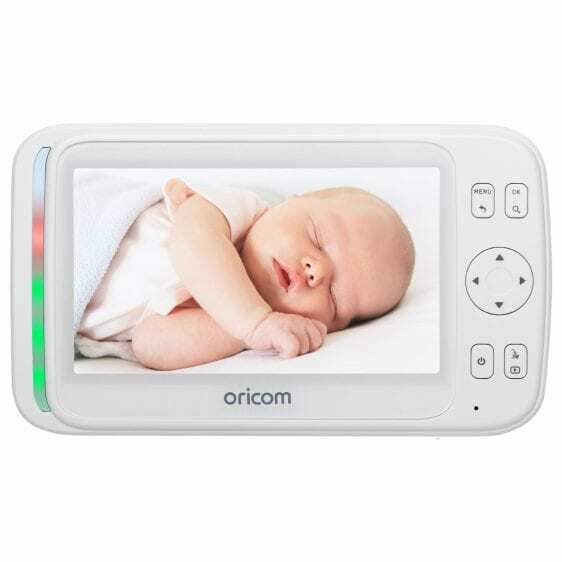 It comes with two highly sensitive sensor pads that cover the area of a standard sized crib or cot. Q. What age groups is it suitable for? A. 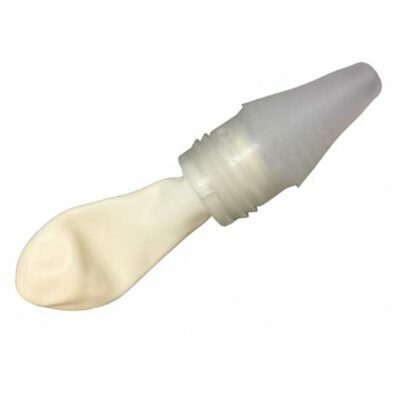 It is suitable for healthy infants up to one year (12 months) of age (it cannot be used for children or adults). Q. If I have twins, can I use with both babies in one cot? A. No you will need to have babies in separate cots, each with its own Babysense7 monitor. Q. Lights on Control unit do not illuminate when turned ON? A. Batteries are not inserted incorrectly or may be flat. Check batteries are inserted in the Control unit observing the correct polarity. Control unit requires 4 x AA 1.5V Alkaline batteries (not supplied). Q. Low battery voltage warning (red light) on the Control Unit is flashing? A. Batteries are low, replace all 4 batteries. A. The mattress is not touching the sensor pads. The mattress is raised (there is an object near the sensor pads). Two sensor pads are connected but the baby is not yet crawling. Only one sensor pad is connected and the baby has crawled off the sensor pad. The mattress does not enable adequate transfer of baby movement – The compositions of some cot mattresses may not conduct vibrations associated with babies breathing movement and may not be suitable with Babaysense7. Do not use Babysense7 with a memory foam mattress. Make sure that the mattress and sensor pads are touching. Make sure that there are no objects next to the sensor pads. Connect sensor pads as per the user manual. If baby is not yet able to crawl, use only one sensor pad – and make sure sensor is placed underneath baby’s location in bed to ensure greater relative sensitivity. Place a sheet of plywood (not supplied) under the sensor pad so that the sensor pad and the mattress will be tightly pressed together. A. Performance test is not correct. Do not conduct performance test by taking the baby out of bed and waiting for the alarm to go off. Kindly conduct performance test according to the performance test instruction in user guide. Environmental Influences detected by the sensor pads, such as wind, fan, air-conditioner, toy mobile vibrations. Perform a test which will detect the source of the movement that the device detects, eg; sources of wind such as air conditioner, an open window or a fan, movements of baby mobile (which can vibrate even if it’s not turned on) walking around the bed area or an intercom placed near the bed with intense transmission levels. Eliminate sources of wind, remove the mobile etc. After neutralising all environmental interruptions, perform the test again. 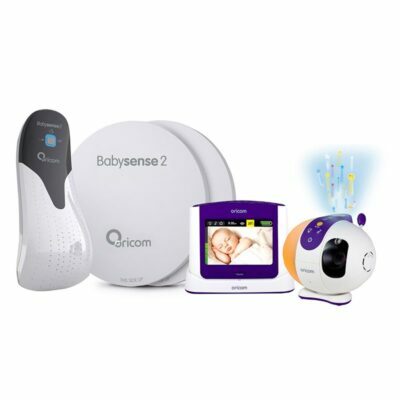 Q: Can I use the Babysense7 on my 13-month-old infant? A: Babysense7 is intended for healthy newborn infants from birth and up to 1 year of age. Babysense7 is set to recognise a defined breathing movement rate of infants within this age group (the alarm sounds if breathing stops for 20 seconds or if the breathing rate slows to below 10 breaths per minute). Q. Can I use Babysense7 if my infant needs constant medical supervision? A. No. You should contact your GP or medical specialist and seek their advice on what alternative suitable methods of monitoring your infant are available. Q. Why is it recommended that only one pad be used in a bassinette? A: The Babysense7 detects the movement produced by a baby’s breathing. A newborn, being smaller, may not have as much movement than a 3 or 4-month-old baby, and when two sensor pads are connected it does reduce the sensitivity of the pads, a little, no problem for an older baby but maybe a little more difficult to detect the movement for a new born baby. This is why it is always best to follow the instructions in the user guide including performing a regular (daily) test of the monitor. Q: How many cameras can I connect to the one parent unit? A: The Secure895 can connect up to 4 camera units (CU895) to the one parent unit. The original unit is supplied with one camera. 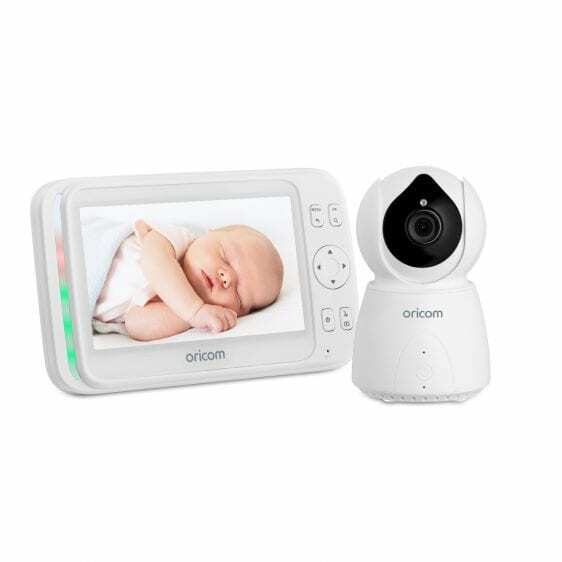 Additional cameras can be purchased from our online store or from your local baby store. Q: My SC895 is not functioning as it should. What can I do? A: Check that both the parent unit and baby unit are turned on. Check that the parent unit is charged, or placed on charge. Check that the baby unit is connected to the correct supplied power adaptor. Failing this, please contact Oricom Support on 1300 889 785 Mon-Fri 8am-6pm AEST, or email support@oricom.com.au. Q: What do I do if “No Link” is displaying on the parent unit? 1. Turn both camera and parent units off and remove the battery in the parent unit. Leave unplugged for 20 seconds. 2. If you have Wi-Fi in the home, make it busy by streaming a video on YouTube or similar. 3. Turn the camera back on wait for 30 seconds. 4. Plug the battery into the parent unit and turn on. best to keep the camera and parent units close together (within 1m) and keep clear of all other electronic devices including mobile phones, tablets or computers. Q: What do I do if there is a high pitched noise coming from the parent unit? A: Increase the distance between the parent unit and baby unit. Reduce the volume on the parent unit. Q: Why is the battery not charging? A: Check the battery is connected to the battery connection in the battery compartment. After a period of time, the battery may need to be replaced due to everyday usage. Please find the part under the accessories tab on the Secure895 Product Page. Q: How should I setup my Secure895 for optimum performance? A: To get the best performance, place your baby unit between one and two metres away from your baby. Point the baby unit towards the baby or object you want to monitor. Check that the baby or object is suitably displayed on the parent unit screen. Q: What is the in use time of the battery? A: Depending on the usage, the parent unit will work for up to 8 hours on a fully charged battery with power save turned ON. When the battery charge becomes low on the parent unit, the battery icon will turn red. 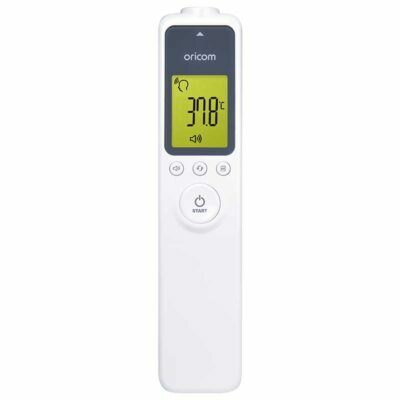 At this point, you need to charge the parent unit.The rechargeable battery pack (supplied) can be charged and discharged hundreds of times, however it will eventually wear out and lose its ability to hold a full charge. When the in-use time becomes noticeably shorter than normal, it is time to purchase a new battery pack. Q:How do I activate the Lullabies? 1) Select the Lullabies icon. Press “OK’’ button to confirm. 2) Choose the lullaby to play from lullabies list. It will automatically single cycle once you chose a lullaby. Note: If you chose ALL, it will automatically repeat all lullabies on the list. Q:How do I use the Auto Tracking function? 1) Select Auto Tracking icon. 2) Press “ON/OFF’’ to enable/disable this function. 3) With Auto tracking turned on, the camera will automatically follow the movement of an object or person in its sight.